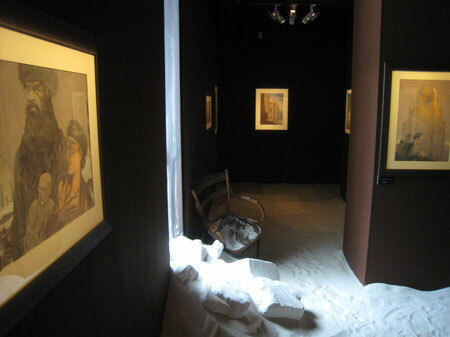 Lumières sur Brüsel is an exhibition on the occasion of the publication by Casterman of the second volume of “La Théorie du grain de sable” (The Theory of the grain of sand). The exhibition “Lumières sur Brüsel” took place in Wallonia-Brussels Centre in Paris (opposite the Centre Pompidou), September 10 till 2 November 2008. Meeting with the authors, films related to their universe, and so on. 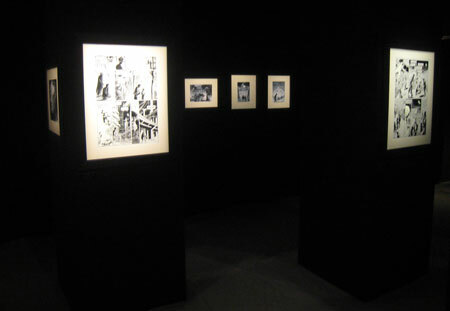 With original drawings of the album, plus lots of unreleased joining this theme, François Schuiten and Benoît Peeters succeeded with the help of Bleu Lumière, to build an installation with special lighting and an original soundscape. Interview of Angora Vox with Benoît Peeters on this exhibition. Vladimir Peeters, son of Benoît Peeters, made a small sequence of the exposition “Lumières sur Brüsel”.